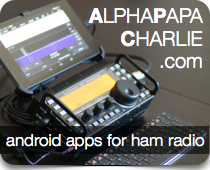 This is a free trial version of the KX3 Companion APP. This version exits after 5 minutes of usage and it is intended to test the setup as it has limited features and doesn’t save settings, macros and logs. It connects to your KX3 by using the USB Serial cable that comes with the radio. You’ll also need an unexpensive OTG Cable adapter to connect the serial USB to your mobile device. You can find them for a very few dollars. No other cables are needed! – XMIT (Chat) Mode – Trasmit as you type. Perfect mode to be used with an external Bluetooth keyboard. And that is just a start. We are planning more features like eQSL.cc, serial over Buetooth support and audio spectrum/waterfall display. IF YOU HAVE PROBLEMS AFTER THE UPDATE, PLEASE UNINSTALL AND REINSTALL THE APP. Thanks.